In the following notes, place-names are given in their modern Russian forms, and personal names, as closely as possible, in their original Polish forms, as despite their residence in Russia there seems to be little that this family was ethnically Polish. Where the spelling of Polish names is in doubt, we have attempted to ascertain the most standard form from such sources as the International Genealogical Index (IGI). It is hoped that this will not cause confusion, or give offense to any of the persons concerned; and of course any errors pointed out to us will be gladly fixed. This principle has had to be invoked even in the cases of the surnames of the families under discussion, in the absence of any record of how they were spelt prior to their bearers’ immigration to Canada, and has necessitated a certain amount of reconstruction. The spellings Dawshka and Dowski, used respectively by our Canadian branch and by an American branch of the family, are etymologically impossible in Polish, and probably represent a name like Daczko, Daczka, Doczka, or perhaps Doczkał; we have tentatively adopted the spelling Daczko here. The spelling Yessis is equally inconceivable in Polish, and must surely represent Jessis. The transliterated Russian č and š (these characters may not display correctly in older web-browsers) are pronounced like English ch and sh, respectively. The Polish c is pronounced ts, j like English y, ł (a crossed l, which also may not display correctly in older web-browsers) roughly like our w, and w roughly like our v. The sz sound is like a French j produced with the underside of the tip of the tongue touching the hard palate, and the cz is pronounced the same as the foregoing, preceeded by a t sound. Other sounds are approximately as in English. At least this is our understanding, although we are ready to be corrected. I should like to thank my mother, Kathleen Ellen (Blythe) (Dawshka) Dobson, of Winnipeg; my aunts, the late Marie Nellie (Dawshka) Sigurdson, and the late Sophie (Dawshka) Yager, both of Winnipeg, and the late Judy (Parcinkowski) Dawshka, of Victoria, B.C. ; Catherine (Burtney) Ostapchuk, of Scarborough, Ontario; Bill and Beverly (McGuire) Burtney, of Scarborough; Hank S. Dowski, of Cheektowaga, New York; Julian Dowski, of Paris, France; and Barbara (Moore) Dowski, of LaFayette, Colorado. Karen Sinotte, an Ostapchuk descendant, provided valuable information on that connection. Mr. G. Ortell, of Astoria, N.Y., a professional genealogist, furnished valuable advice regarding place-names. None of these persons, however, should be held accountable for any errors of fact or interpretation which may appear herein. Unbeknownst to us, a brief record of the Dawshka family, apparently based on first-hand knowledge, was written by Anne Carritt for the centennial history Arizona 1882-1982 (Arizona, Manitoba, 1982), p. 59. It only came to our attention in 2014 after a digital edition was published, and we now incorporate extracts from it below. Anna Myslow, born 1915-16, died 1928, aged 12 years. William Myslow, Jr., born ca. 1920-22, alive in 1976. He married Mary ____. Children, all born in Canada: Linda, William, Darlene. 4Piotr Daczko (Peter Dowski), born 5 July 1895 at Minsk. 5Mikolaj (“Nicholas”) Daczko, born 4 November 1897. Jan Daczko (Jr.). He is said to have married and had two children. He was never heard fom after being sent to Siberia during World War II, and it is believed that his wife died shortly thereafter. He was clearly presumed dead in 1955, as he is not mentioned as a survivor in his mother’s obituary. The present whereabouts of any children is not known. Nusta Ilukiewicz; married Tomasz Táfa. No issue. Catherine Burtney, born 11 June 1931 at Meleb, Manitoba, died in March 1992 at Toronto. She married 15 August 1952 at Winnipeg, Manitoba, Mikalo (“Michael”) Ostapchuk, born 5 August 1918 at Berlo, Manitoba, died 13 July 1984 at Toronto, son of Walter Ostapchuk, of Meleb, by his wife Anna Keryluk. In 1963 Michael Ostapchuk, carpenter, and Katherine Ostapchuk, housewife, are found at the same address as her parents, no. 5 Valerie Road, Scarborough, York County, Ontario. In 1976 they were living at 24 Six Nations Ave., Scarborough, Ontario M1H 1R5. They had two children. William (“Bill”) Burtney, born 5 September 1936, alive in 1985. He married 18 May 1963, Beverly McGuire, born ____. In 1985 he was working for the Canadian National Railway, and his wife for Estée Lauder. Their address was 158 Sedgemount Drive, Scarborough, Ontario M1H 1Y2. They have two children. Petra Ilukiewicz; married Wera Kopot, sister of Uri Kopot below. They had three sons: Julian, Wasil, and Wanya. Elzbieta Ilukiewicz; married Uri Kopot, brother of Wera Kopot above. They had two sons: Michał and Wanya. Michał Ilukiewicz, killed 8 December 1974 by a truck while crossing a highway. He married Wera Jessis, who may have been a kinswoman of Marya Jessis, wife of Mikolaj Daczko (no. 4 below). He had an only daughter, Katarzyna, who married Wladimir Dyduck and had two children. Jessica Travis, born 21 July 1976. By Kevin Dominique she has twin sons named Kody and Kacy, born 29 July 2001. Erika Travis, born 22 September 1977. By Artie ____ she has a son, Collin Robert, born 15 September 2001. Stacey Travis, born 27 February 1981. Jennifer Dowski, born 19 October 1979. Ryan Dowski, born 6 January 1984. Kimburley Small, born 19 November 1981. Pamela Small, born 30 April 1984. Erin Small, born 20 December 1986. Adam Haynes, born 14 August 1995. Isabelle Carolyn Schuyler, born 8 October 2003. Rebecca Ann Dowski, born 21 July 1965 at Poughkeepsie, New York, murdered with her friend Cathleen Thomas shortly before 12 October 1986 on the Colonial Parkway near Williamsburg, Virginia. At the time of her death she was a student at the College of William and Mary, Williamsburg. They were the first victims in the Colonial Parkway Murders, believed to be the work of a serial killer who has never been identified despite an ongoing FBI investigation. Alice H. Dowski, born 1928-29 (aged 1 year in 1930) in New York State, died in May or June 1990. She married Mark W. Miazga, of Buffalo, N.Y., who survived her. There were no children of this marriage. Edward Raymond Dowski, Jr., Ph.D., born 9 January 1961. He received his Ph.D. from the University of Colorado, with a dissertation which demonstrated a method for improving the automatic focusing and depth-of-field of camera lenses, which he named wavefront coding. He and his graduate advisor, W. Thomas Cathey, along with R.C. Mercure, subsequently formed a company, CDM-Optics, of Bolder, Colorado, to develop products based on the new technique. The company was acquired in 2005 by OmniVision Technologies, which has released wavefront-coding-based mobile camera chips under the name of TrueFocus sensors. He married 1 July 1995, Barbara Jean Moore, M.S., born 14 August 1965. They live at Lafayette, Colorado, and do not have children. Kevin McGunigal, born 13 April 1994. Mike Dowski, born 28 July 1959, died 6 June 1987 of a brain aneurism. Alison Dowski, born 14 September 1999. Susan Dowski, born 26 January 1963. She married (1), but divorced in 2002, Arnold Kraft. She married (2) in October 2003, Paul Winnie, born 6 October 1954. She and her second husband live at Akron, NY. There are no children. Timothy (“Drew”) Mt. Pleasant, born 29 May 1984. Kyle Mt. Pleasant, born 21 July 1995. Cierra Mt. Pleasant, born 4 February 1999. Caitlin McDonnell, born 2 September 1998. Meghan McDonnell, born 11 July 2001. Mary Dowski, born 28 February 1968, living at Nampa, ID. She is unmarried (2003). 5. Mikolaj Daczko (Nicholas Dawshka), born 4 November 1897 at Naruszewicz (now Nareshevichi), near Baranovichi, Belarus, died 17 November 1969 at Fox Memorial Hospital, Carberry, Manitoba, Canada, aged 72 years, of heart failure, and buried 19 November following in Carberry Plains Cemetery. He married before 1922, in Poland, Marya Jessis (“Mary Yessis”), born 28 July 1897 at Sieniawka or Siniawka (now Sinyavka), near Baranovichi, Belarus, died 14 July 1974 at St. Boniface Hospital, Winnipeg, Manitoba, aged 76 years, and buried beside her husband 17 July following, daughter of Jan and Anna (____) Jessis. On November 17, 1969 after a short illness Nicholas Dawshka aged 72 years of Carberry, Manitoba. He was born in Poland, and came to Canada in 1929. He came to the Carberry district in 1935. He retired from farming in 1965. He was predeceased by a son Carl in January 1969 [and] a sister Lena Myslow in Hamilton in June 1969. Surviving is his wife Mary; son Con of Winnipeg; two daughters Mrs. T. Sigurdson (Marie) and Mrs. R. Yager (Sophie) both of Winnipeg; brother Peter of New York, and ten grandchildren. Funeral service was held November 19 at 11:00 a.m. in the United Church, Carberry. Rev. T. Mercer officiated. Pallbearers were Roy Bailey, Elmer Mott, Roy MacDonald, Carl Zarbo, Charles Carritt, Peter Surminsky. Burial was in Carberry cemetery. James (“Jim”) Thomas Sigurdson, born 17 February 1946 at Steep Rock, Manitoba; married Michelline ____. Douglas (“Doug”) Alexander Sigurdson, born 1 September 1948 at Steep Rock, Manitoba. He studied Fine Arts at the University of Manitoba. In 1972 he and his friend Suzanne Gillies founded Plug-In Gallery in Winnipeg, and remained its co-directors until moving to Toronto in 1979. In the early or mid-1980s he was co-ordinator of A-Space, an art gallery there. In 1989 he was appointed Executive Director of the Visual Arts Branch of the Canada Arts Council, Ottawa. He was appointed interim Head of the Visual Arts Section in January 2009, and received the same position permanently in May 2009. Tanya Dawshka, born 8 November 1982 at Victoria. Ronald (“Ron”) Dawshka, born 3 April 1955 at Winnipeg, alive in 2006. He took a degree in Cpmputer Science and was working in 1985 at Victoria, B.C. He married Janet ____, and they have two sons. In 2006 he was a Client Manager for the Education & Corporate Client Unit, Client Manager Branch, Management Services Division, British Columbia Ministry of Advanced Education. Patricia (“Patty”) Anne Dawshka, born 9 January 1959 at Winnipeg, alive in 2006. She married (1) 10 July 1982 in St. Mary’s Cathedral (Roman Catholic), Winnipeg, but divorced about 1982, Erlin (“Erlin”) Uwe Kauker, born 21 July 1959 at Ettlington, West Germany. She and her first husband lived at Victoria, British Columbia, where they both served in the Canadian Armed Forces. Their address in 1985 was 307-345 Michigan Street, Victoria. She married (2) Joe ____. Christina Maria Dawshka, born in July or August 1989. She has studied at the University of Winnipeg. Nicholas (“Nico”) Andrew Timmy Dawshka, born before May 1992. He graduated with a B.A. from the University of Winnipeg in 2013. Barbara Ruth Yager, born 28 July 1966 in the Misericordia Hospital, Winnipeg, alive in 2011. She studied Sciences at the University of Manitoba. She met her future husband while working at Toronto, and they have returned there after living for some time at Norwalk, Connecticut. In 2011 she began a new position with the Bank of Montreal as Deputy Chief Accountant. She married Darrell Cheung. They are the owners of Satori Urban Wellness in Toronto. Roger Kendall Yager, born 15 November 1967 in the St. Boniface Hospital, Winnipeg, alive in 2011. He studied Engineering at the University of Manitoba. He married Corinne ____, and they have one child, a daughter, Isabella Yager. They are now (2009) living at Vancouver, British Columbia. Carl George Dawshka, born 17 February 1933 at Pratt, near Austin, Manitoba, died 28 January 1969 at Portage la Prairie, Manitoba, aged 35 years, and buried there 31 Jan. following in Hillside Memorial Cemetery, section 5, row 18. He married 27 December 1958 in St. Edward’s Church (Roman Catholic), Winnipeg, Kathleen Ellen Blythe, born 23 July 1934 at Winnipeg, alive in 2011, daughter of Alan Blythe, of Winnipeg, by his wife Jessie Clara McCullough. He received his early education in schools in Melbourne, Manitoba, and attended high school at St. Paul’s College, a private Roman Catholic school in Winnipeg. Carl received a B.A. in 1954 from St. Paul’s College at the University of Manitoba, and a B.S.W. in 1956 and an M.S.W. from the University of Manitoba in 1959. From 1954 to 1961 he was a social worker for the Provincial Government in Northern Manitoba. In 1961 he went to Portage la Prairie, where he and his family lived at 15 Sunset Drive (a street which, incidentally, he named). 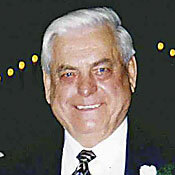 He was Regional Director at Portage for the Department of Health and Social Services, Social Services Division. He and his wife were members of St. John’s Church (Roman Catholic) in Portage, and Carl belonged to Rotary International. 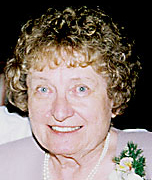 His widow, Kathleen, who received her B.A. from the University of Manitoba in 1955, was also a social worker before their marriage. She married (2) (as his third wife) 12 April 1975, but separated from in 1984, and divorced 21 December 2000, Ross Victor Goodwin Dobson, born 15 April 1934 at London, alive in November 2011, son of Walter Dobson, of London, Ontario, by the latter’s wife Doris Eva Goodwin. From 1979 until her retirement in the summer of 1999 she was the social worker for the Emergency Department of Health Sciences Centre, Winnipeg. She married (3) (as his third wife) 24 February 2001 in Christ the King Church (Roman Catholic), Winnipeg, Ronald Douglas Slate. She has lived since 1973 at 4 Cromer Bay, Winnipeg R2M 4C5. In 1998 Kathleen legally resumed the surname of Blythe, which she has retained through her third marriage. John Blythe Dawshka (the present writer), born 7 November 1961 at Brandon, Manitoba; unmarried. He has been commonly known as John Blythe Dobson since his mother’s second marriage, and legally assumed the name on 9 April 2015. He received a B.A. (4-year) in Dramatic Studies in 1987, a B.A. in English in 1988, and a B.A. (Honors) in History in 1990, all from the University of Winnipeg. He started as an assistant in the U. of W. Library in 1982, worked in the Reference Department thereof from 1986 to 2000, and since 2000 has been the library’s website co-ordinator. He has been a contributing editor to The New York Genealogical and Biographical Record since the January 2010 issue. He lived with his mother until April 2000, then at 23-10 Balmoral Street, Winnipeg, until August 2005, since which he has lived at 1170 Spruce Street, R3E 2V3. Caleb Michael Dawshka, born 16 October 2002. Mikalah Blythe Leonoff, born 4 April 2006. Maeve Kathleen Elizabeth Johnston, born 23 September 1997 at Winnipeg. Hugh Desmond Johnston, born 19 December 1999 at Winnipeg. Osip Daczko, born 1869-70 (aged 32 in 1912) at Naruszewice. As “Osip Dawschko,” aged 32 years, of light complexion, light brown hair, and grey eyes, born at, and last permanently residing at, Naruszewice, Russia, he arrived on 29 November 1912 at the port of New York, having sailed from Hamburg on the S.S. President Grant. His nearest relative in his home country was his wife in Naruszewice, whose name appears to read “Juliann Dawschko.” He sailed with three other men from Naruszewice — Simon Nowik, Szczepan S…inko (illegible), and Piotr Schlolinz — and all three were bound for Buffalo, New York, and he was going to join a friend, Stefan Karpiewik, there. We have not found later record of him. Josef Daczko, born 1892-93 (if he was aged 20 in 1913) at Naruszewice. As noted above, his name appears immediately above that of “Peter Dawshko,” in the manifest of the S.S. Columbia, arriving 3 November 1913 at the port of New York from Glasgow, Scotland. He is recorded as “Josif Dawshko,” aged 20 (? ), of light complexion, dark hair, and brown eyes, in good health, unmarried, a labourer, born at, and last permanently residing at, “Nerestewizy, Russia,” destined for Buffalo, New York, and notes that he could read and write, and had $25 in his possession; his next of kind was his wife, “Katja Dawshko,” of “Norestewiczy.” His age has been overwritten and the reading is uncertain. He thus married before 3 November 1913, Katja ____, who at least temporarily, remained behind in Byelorussia. There is no reason, on chronological grounds, that Josef could not have been a brother to the Piotr with whom he travelled, but he was completely unknown to any members of the present family who were still alive in the 1970s. We have not found any really convincing match for him in the 1920 or 1920 census of New York State, not have we found a likely immigration record for his wife. 1. Obituary, Carberry News-Express, 2 March 1955. 2. Cemetery record, from a transcript in the collection of the Manitoba Genealogical Society, Winnipeg; photo at https://www.findagrave.com/memorial/180433918. 3. She is inexplicably called “Lena” in a death notice of her brother Nicholas. 4. Canadian Passenger Lists, 1865-1935, at Ancestry.com. 5. Manitoba marriage registrations, 1930, no. 028093, from index; original record not seen. 6. Death notice, Winnipeg Free Press, 8 September 1970, p. 36, col. 6. 7. For this information, and additional details on their daughter Catharine, we are indebted to Karen Sinotte, a grand-niece of the latter’s husband. 8. Canada, Voters Lists, 1935-1980, at Ancestry.com. 9. Canada, Voters Lists, 1935-1980, at Ancstry.com. 10. 1920 U.S. Census, New York, Erie Co., Buffalo, enumeration district 22, p. 18A. 11. “List or Manifest of Alien Passengers for the United States [on] S.S. Columbia sailing from Glasgow 25th October, 1913, arriving at Port of New York November 3 1913,” available online at http://www.ellisisland.org/. 12. “Mary Dowski,” SSN 0094-18-1422, Social Security Death Index. 13. 1930 U.S. Federal Census, New York, Erie County, town of Cheektowaga, roll T626_1434, enumeration district 383, p. 9A. 14. Colonial Parkway Killer, at http://en.wikipedia.org/wiki/Colonial_Parkway_Killer, and other Internet sources and newspaper articles. The Parkway Murders website at http://parkway.crimeshadows.com/ has been established to elicit leads in the case. 15. “Wavefront coding sees through aberrations,” Laser Focus World, 35(1) (January 1999); Lyn Berry-Helmlinger, “Much clearer picture result of breakthrough in Boulder,” Denver Business Journal, 15 February 2002, available online at http://denver.bizjournals.com/denver/stories/2002/02/18/story8.html; Peter Ulrich Weiss, “Pictures only a computer could love: new lenses create distorted images for digital enhancement,” Science News, 29 March 2003; “Wavefront coding finds increasing use,” Laser Focus World, January 2004, 20-21; Wavefront coding, at http://en.wikipedia.org/wiki/Wavefront_coding. 16. Death notice, Winnipeg Free Press, 20 November 1969, p. 34, col. 4, and personal knowledge. 17. Death notice, from an unidentified newspaper. 19. The Carberry Plains: 75 years of progress (1959), p. 99. 20. Death notice, Winnipeg Free Press, 20 November 1969, p. 34, col. 4. The same notice appeared in the Brandon Sun, 29 November 1969, p. 18, cols. 7-8. 21. Death notice, Winnipeg Free Press, 17 May 2000, p. C11, col. 3. 22. Death notice, Winnipeg Free Press, 22 February 1974, p. 29, col. 1. 23. Death notice, Winnipeg Free Press, 15 May 1992, p. 15, col. 3. 24. Winnipeg Free Press, 13 October 2006. 25. Winnipeg Free Press, 7 January 2011. 26. Don Dreger, “Dreger/Hoppe Family Tree,” at ancestry.com. 27. Anne M. Collier, A Rear View Mirror: A History of the Austin and Surrounding Districts (Portage la Prairie, 1967), p. 381; Arizona 1882-1982 (Arizona, Manitoba, 1982), 20. 28. J.M. Isa, N.E. Stanger, and Sophie Dawshka, “An Outbreak of Swine Erysipelas in Turkeys,” Canadian Journal of Comparative Medicine and Veterinary Science 21(9) (September 1957): 321–323; see http://www.pubmedcentral.nih.gov/articlerender.fcgi?artid=1614441. 29. Death notice, Portage Graphic; photograph of tombstone at http://geneofun.on.ca/names/photo/1268584. 30. “List or Manifest of Alien Passengers for the United States [on] S.S. President Grant sailing from Hamburg November 15th 1912, arriving at Port of New York November 29 1912,” available online at http://www.ellisisland.org/. 31. “List or Manifest of Alien Passengers for the United States [on] S.S. Columbia sailing from Glasgow 25th October, 1913, arriving at Port of New York November 3 1913,” as cited above.